Alessi’s Espresso coffee maker 9090 has a special role in the company’s history: it is not only their first espresso coffee maker but also the first object to win the prestigious Compasso d’Oro award and the first Alessi item in the permanent collection of MoMA in New York. 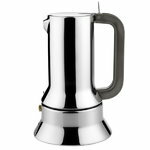 The espresso coffee maker, designed by Richard Sapper, features a beautiful body made of stainless steel and brings timeless elegance to kitchen and table settings. Suitable for induction hobs. The black parts should not be washed in the dishwasher. 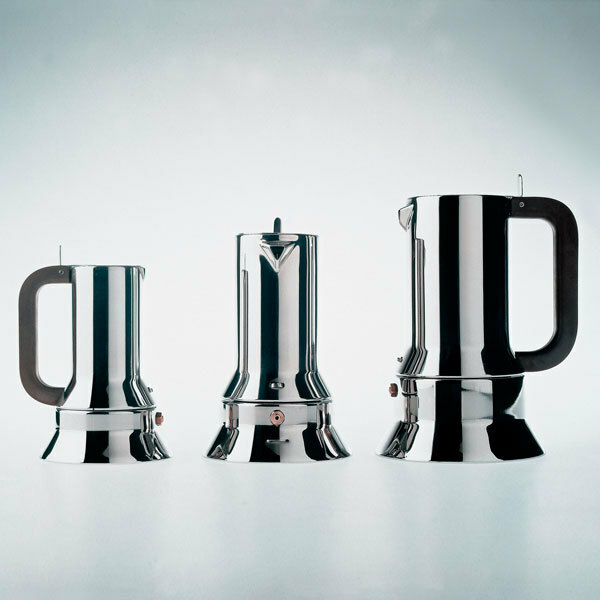 Richard Sapper (1932–2015) was a German industrial designer whose work combines simple shapes with interesting technical innovations. 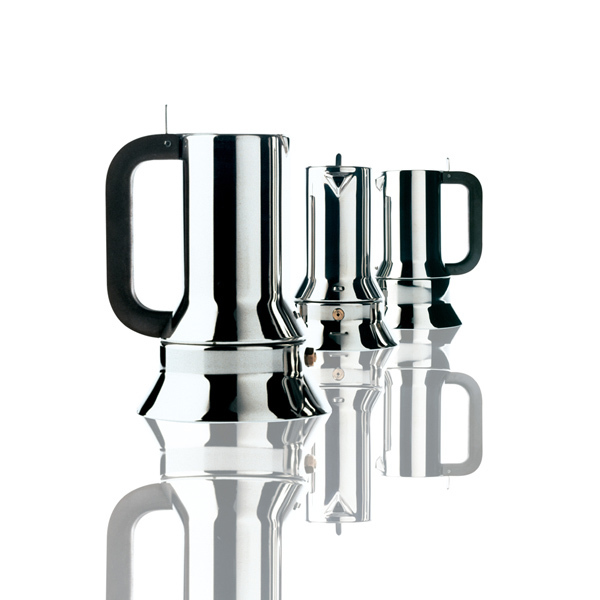 During his long career Sapper was awarded with the Compasso d’Oro design award for ten times, and his work is included in the collections of many museums – New York’s MoMA owns almost 20 designs from him. 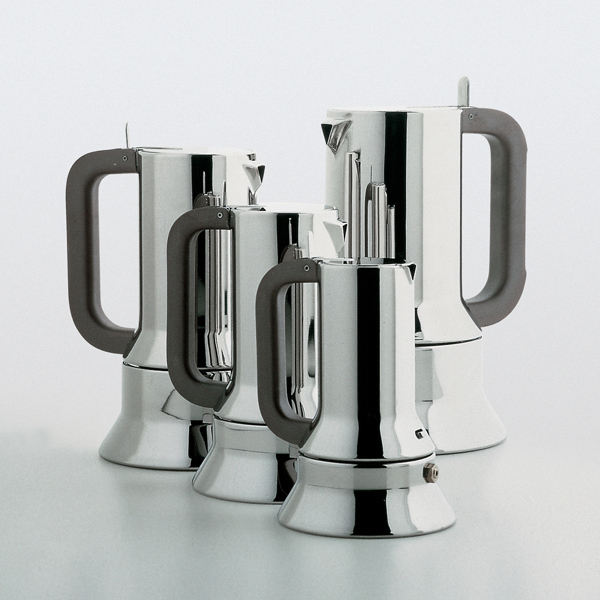 Some of his best known designs include the portable Doney 14 transistor TV from 1962, the Tizio lamp designed for the Italian design company Artemide in 1972 and IBM’s ThinkPad 700C from 1992. Besides working as a designer, Sapper was also a lecturer in many universities wordwide.